Liverpool forward, Mohamed Salah has described himself as a “yoga man”. Salah said this while reacting to his side’s Premier League 2-0 win over Chelsea on Sunday. 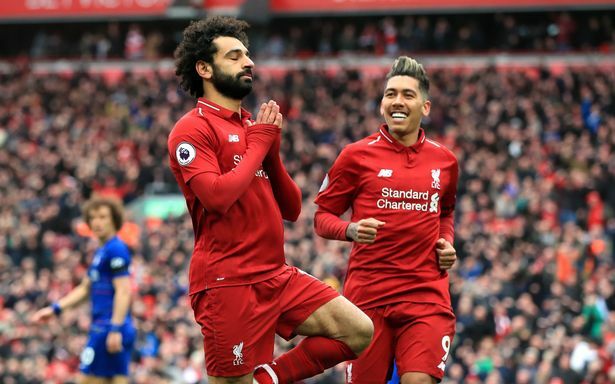 Salah, who adopted a yoga style pose after his incredible goal against his former club, said he was happy about the result. The Egyptian international told Sky Sports: “I am a yoga man! Salah added: “I’m just happy about the result. I’m top scorer of the Premier League along with Aguero.